Today the 84-acre Laurel Gray Estate is planted with over 10 acres of rolling vineyards, containing French Vinifera varieties: Chardonnay, Viognier, Cabernet Sauvignon, Merlot, Cabernet Franc, Petit Verdot, and Pinot Gris. The soil is a sandy loam, produced from the weathered rock of one of the continent’s oldest mountain ranges, providing a well-drained foundation on which our vines prosper. 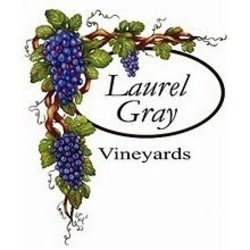 Laurel Gray Vineyards is located within the Swan Creek region of the Yadkin Valley. Elevation is 1100 feet above sea level at the southern base of a small mountain the owners have dubbed “Scarlet Mountain”. The climate of the Swan Creek area during the growing season is different than other portions of the Yadkin Valley featuring warm days, cooler nights, and often, a nice breeze.